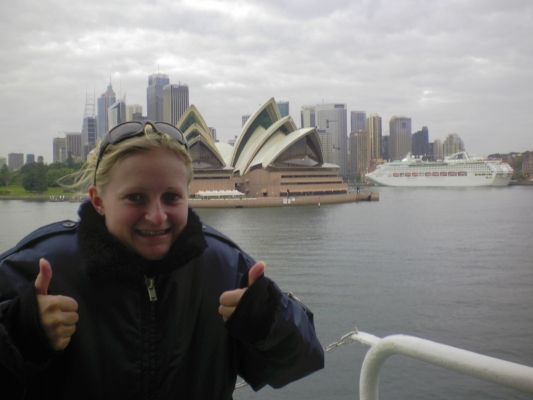 Josslynne is currently a lecturer in Ship Stability, Structures and Maintenance and Celestial navigation at South Tyneside College, where she delivers specialist training to Merchant Navy officers from all around the world. I joined the Merchant Navy as a Deck Cadet training to be a Navigation Officer. […] almost all of our work revolves around science and physics, from working out speeds, turning circles and stopping distances to weather forecasting, chemical and gas cargo care and even fire fighting! My role was to ensure the ship, her cargo and all the passengers on board remained safe at all times. I was responsible for the planning of, and maintaining, the safe navigation of the vessel as well as being responsible for the health and safety of everyone onboard. If there is an emergency on a ship you cannot call 999 for help […] When in port I was responsible for the safe loading and unloading of cargo as per company and legal requirements, as well as maintaining communications with other vessels and ports. I got a Distinction for my HND (Higher National Diploma) in Nautical Sciences and passed my professional ticket which is a little like a driving licence but for a Ship! One of the best things about her time as a Deck Officer was being able to travel the world and get paid to do it. Josslynne has sailed to Asia, remote islands in the Pacific ocean, the Norwegian Fjords and even to Svalbard in the Arctic Circle, the most northern settlement in the world. Look around, not just at the ‘normal’ or ‘obvious’. Go to as many careers fairs as you can and listen to the types of careers that are around. There will always be a career that you had never heard of and that one might just be the one for you!